With the expansion of investment in infrastructure in Asia, there has been an acceleration of entry into this market by overseas companies, including Japanese firms. Under its management policies of “expansion of energy-related businesses” and “globalization,” FE is expanding its business operations in overseas markets, with a focus on the industrial infrastructure and power electronics sectors. In recent years, FE has been forging ahead with the strengthening of its business foundations in the Asian region in particular, through M&As and capital investments. As the core base for FE’s manufacturing operations in Asia, the new plant’s main focus is the production of power electronics equipment. 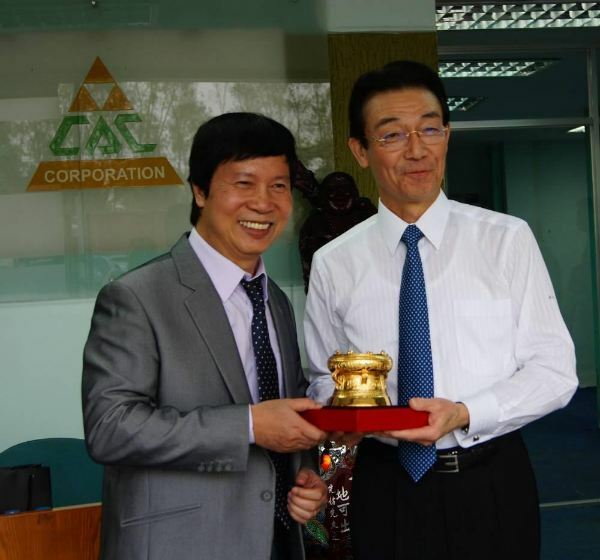 The objective of FE’s capital participation in CAC, which has a solid track record of plant engineering projects in Myanmar and Cambodia, as well as Vietnam, is to strengthen engineering functions in the region, with the goal of further expansion of Asian operations together. FE has a significant share of the market for power plant in Vietnam, and the new company will be also utilized as a base for its maintenance services. CAC will maximize the use of “Fe” brand as a group company when marketing especially to Japanese potential customers, with strengthened engineering skills backed by FE. Strengthening of engineering capabilities: FE will leverage CAC’s engineering capabilities to expand its business opportunities in industrial plant and systems with combination of applicable FE’s power electronics equipment (inverters, rotators, UPS), measurement control instruments (DCS, PLC, analyzers, flowmeters, temperature controllers, transmitters), transformer equipment (GIS, switch gears, transformers) and other products and solutions for further customers’ satisfaction. Utilizing CAC’s customer base: FE will utilize CAC’s customer base to increase sales together, and to meet renovation demand for power distribution systems, production line equipment, process control systems and other products and solutions in a range of sectors, including cement, food and beverage, oil and gas, chemicals, water, paper and steel.